This Daltile Fashion Accents 2 in. x 2 in. 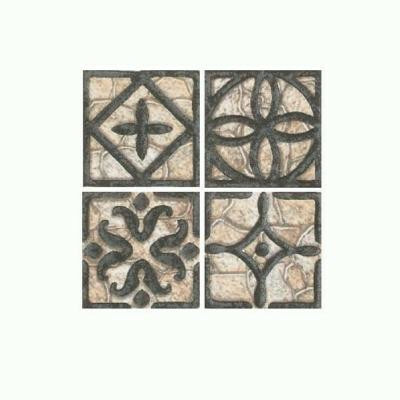 Wrought Iron/Beige Ceramic Accent Tile feature decorative designs to add flair to backsplashes or countertop installations as inserts within the larger scheme. The wrought iron presents a contrast to the warmer beige tones, highlighted by the smooth, glossy finish for visual appeal. You can buy this product in our internet market. We will be glad if you make the right choice.